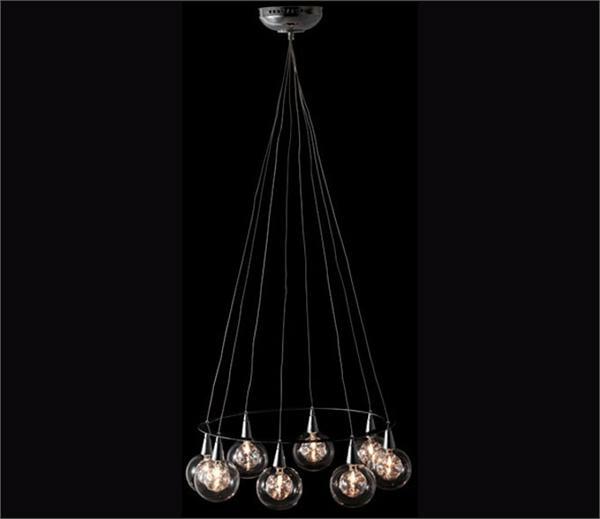 The Radial Ceiling Lamp is a mysteriously beautiful piece which is sure to add that special touch to any room. 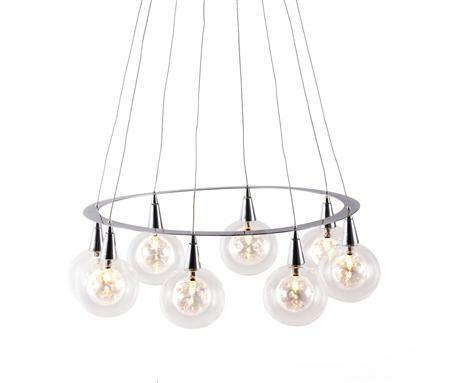 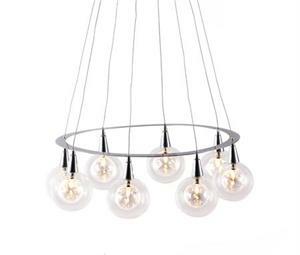 This magnificent ceiling lamp features a gorgeous chrome ring, which holds eight clear glass orbs. 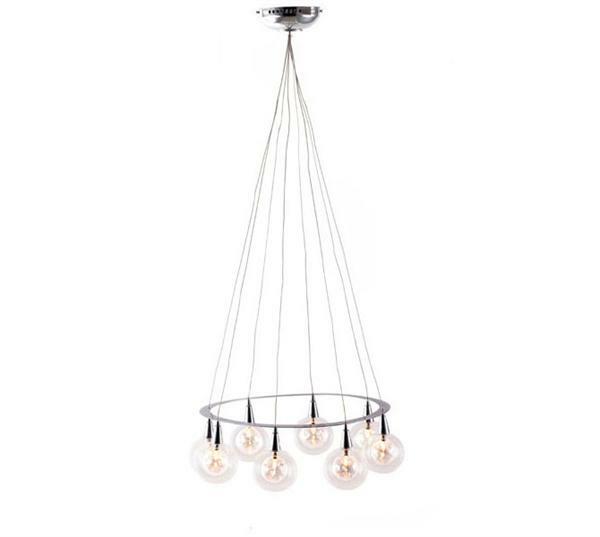 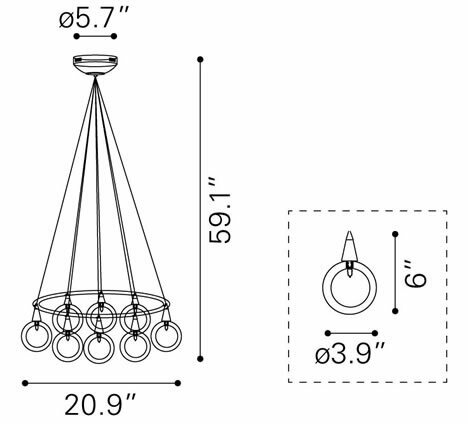 The Radial Ceiling Lamp is the great for any environment, being personal or business.